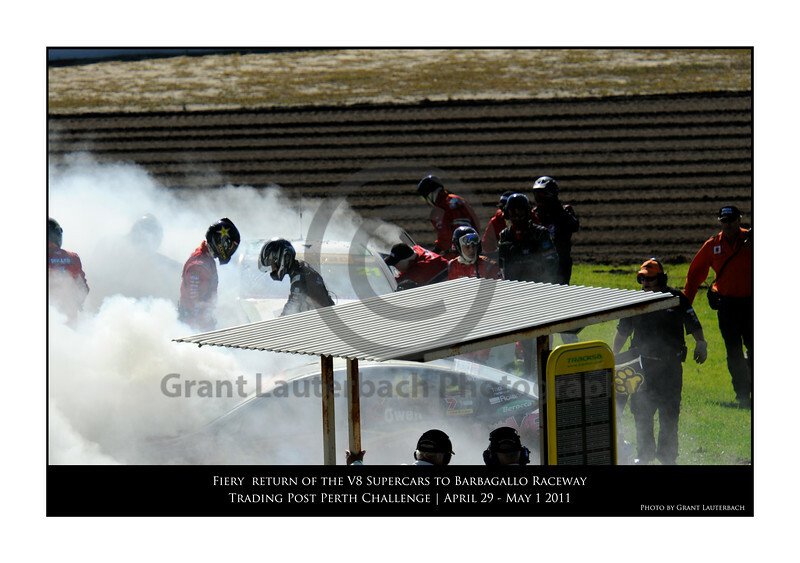 The biggest and most spectacular start line crash I have ever seen at a V8 Supercar race. Luckily no one was killed or seriously injured. This is a testement to the safety built into these cars. I will be producing a limited edition multi image framed collage of this spectacular event. Please show your interest by emailing to v8crash@carstereo.com.au or visit http://www.carstereo.com.au for contact details. I will produce a sample shortly and display an image soon. Stay tuned! When ordering images allow for white border around each image.